As the old song goes: It ain’t what you do, it’s the way that you do it – and that’s what gets results. When the chef proprietors of The Bracebridge began to create their fine-dining menus, and their less formal menus for The Terrace, they drew on their experience in some of the best restaurants in London, where they trained under Michelin-star chefs. That means using only the best ingredients they can source and using their first-class skills to create stunning dishes that will leave diners smiling. Think classic French cuisine with a modern British twist, with hints of the Mediterranean: prime steaks, freshest fish, local vegetables, imaginative vegetarian dishes. Whether you visit for a leisurely breakfast at The Terrace or in the restaurant, you will be assured of the same quality ingredients – and we promise you’ll never have a better bacon and egg sandwich to set you up for the day! From granola and yoghurt to a full English, tangy sourdough toast to hearty kedgeree, The Bracebridge is the place to head to for breakfast with friends and family. Join us for a leisurely lunch and you’ll be treated to dishes such as tamarind honey-glazed poussin with kholrabi slaw or cauliflower cheese polenta, and delicious desserts including tarte citron and chocolate fondant. As a destination restaurant for dinner, we have created exquisite dishes for every course that are as elegant as the surroundings. 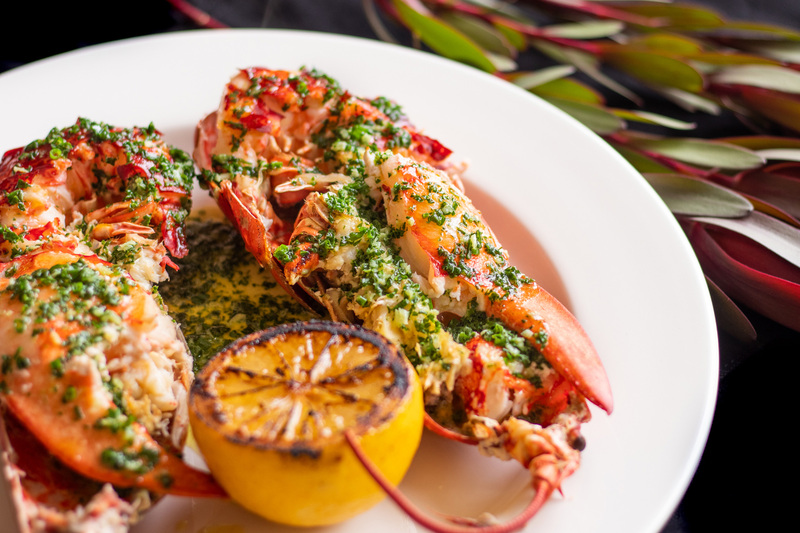 The seasonal menu features classic starters such as Caesar salad and prawn cocktail – but with a Bracebridge twist – and mains including lobster, tagines and perfectly cooked, premium steaks. Of course, our spectacular desserts and carefully selected cheeseboard will be the final flourish of a fabulous dining experience. From breakfast to dinner, The Bracebridge is the hottest dining destination in the region.